Before going to college, most of you spend their time in different ways. To some it involves doing an essay plan each day for those online essay jobs, you do each day. To others it is time to bond with their close relatives and friends before they go to college. 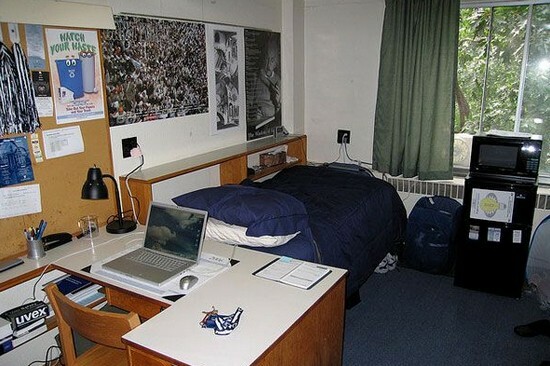 However way you spend your time, you need to think about one thing: decorating your college dorm room. Days where your mother buys all the essentials needed in a room are long gone. Decoration for guys means two things: simplicity and practicality. However, since a good impression on your peers is what you want, you should try to make sure your room brings out your personality and shows them that you are not the same little boy who slept in Toy Story pajamas. 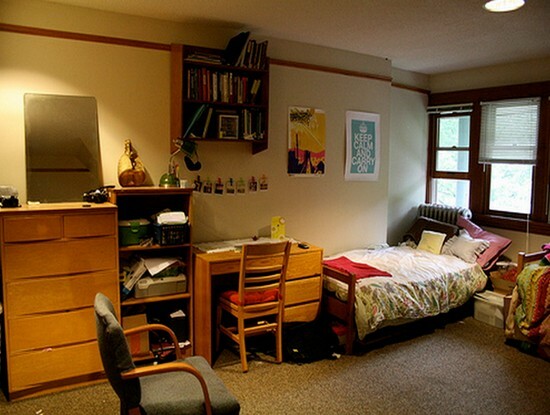 Below are some tips on how to spice up your dorm room. Use masculine patterns and colors. Choosing strong colors like dark Grey, navy, brown, army green and black is a great place to start solidifying your manliness. You need to forget the pastel and polka dots colors that your mother got you for your bed at home. Rather, opt for stylish strips like those found in Our Campus Market(OCM) website’s twin XL bedding sets or a bold plaid pattern. For added flair and comfort, add on top of the bed some extra throw pillows. Just by making your bed the fashionable focal point in the room, you can keep the rest of the space useful and simple. Just do not forget to make your bed each morning! Next make sure you get a useful organizer. One of the things that are not high on the priority list for most men is cleaning. To make sure that all your stuff are where they are supposed to be, you should invest in room organizers. They come in handy. Tools, for instance under the bed storage containers are great especially in storing extra clothing. Closet hanging organizers make sure a pile of clothes does not fall at your feet whenever you open the closet door. For your desk area organizers, go for pencil holders, paper trays, and trash that makes sure that loose papers are properly thrown away and not just anywhere in the room. Be sure to get a wall decor. Coming to your dorm room, you would want to make sure that your personality is exemplified so that your peers have a better idea of who you are. How best other than hanging a wall art that speaks to you. Were you the humorous one in high school? Hang up art that when guests look at, it tells them that you are funny. Are you prone to anxiety and stress? Go for paintings or posters of a peaceful scenery or soothing objects that are of great help during late night study periods. Are you an art lover? Put up posters of art replicas from one of your favorite artists. Whichever decor fits your personality, explore OCM’s wall art to find the best fit for your dorm room. Since you never have a kitchen in college, it is an important idea to prepare yourself with some of the essentials you are going to need. You can even coordinate with your roommate to bring large appliances, for example, a coffeemaker, vacuum or a microwave. These are the most used electronics. Next, you should also think of bringing a lamp or two, a fan, and an alarm clock. Having these essentials not only says you are an adult, but it also makes your college life much easier.